Uber, the ride-hailing startup, has announced that it will open an investigation after one of its former employees made allegations to the public of sexism as well as harassment at the company. 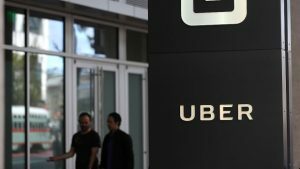 A former engineer, Susan Fowler, who on Sunday published a blog post that detailed her experiences while at Uber, has claimed that the business would not do anything more than issue warnings to her superior after Fowler and other female employees had complained about the alleged sexual harassment. Fowler wrote she had been blamed after she made several reports detailing the ongoing gender discrimination. She was threatened with firing by another superior for voicing her concerns to the company’s human resources departments, wrote Fowler. CEO Travis Kalanick, through a prepared statement hours after the blog post by Fowler, said that what was described by Fowler was abhorrent and against all that Uber believes in and stands for. Kalanick added that he did not know of the claims made by Fowler and said he instructed the company’s human resources chief to conduct, what he described as an urgent investigation related to the allegations. The CEO said that the company seeks out a just workplace and there is no place for the kind of behavior described by Fowler at Uber and anyone behaving like that or that thinks that behavior is fine will be fired. Uber took criticism online due to the post Fowler made. The hashtag #DeleteUber was revived after trending a number of weeks ago following the initial response by Uber to the immigration ban by President Donald Trump. One investor with Uber posted a tweet that what Fowler had described was unacceptable. On Sunday Arianna Huffington, who last year became part of the board of directors at Uber, said Sunday she would be working on Uber’s investigation related to the allegations made by Fowler. Huffington tweeted her personal email address so that anyone wanting to contact her could do so. Fowler described the repeated sexism she witnessed and had to deal with after beginning work in November of 2015 in a post she titled as Reflecting on One Very Strange Year with Uber. Fowler has claimed a superior had made some sexual advances only weeks into her beginning work at Uber. She said that she to HR about the advances, but was told that they would not be comfortable with giving the superior anything besides a warning and a harsh talking-to.